A question that MB might be able to answer. 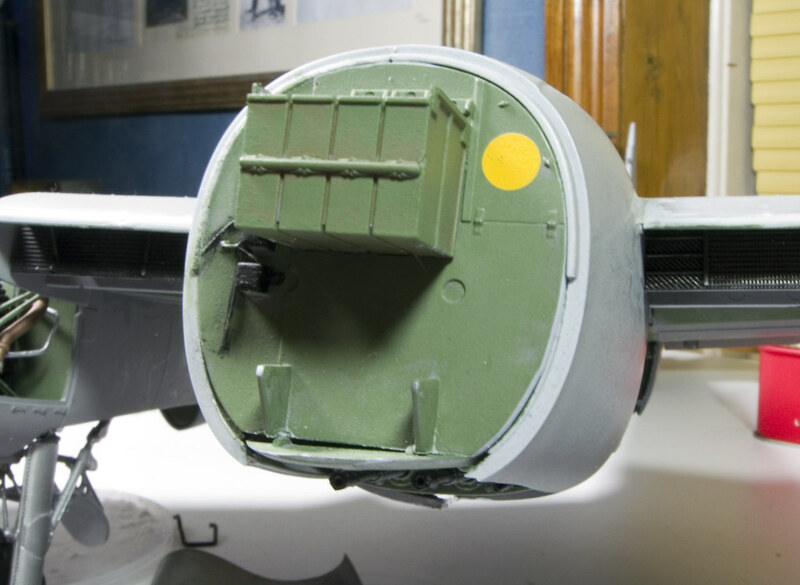 I think I have seen a yellow circle behind a Lancaster pilot's seat and this kit also has one behind the pilot's seat but one inside an airframe? Had little think and made the Arado 234 a little more like the drawings in the Luftwaffe Secret Projects Ground Attack and Special Purpose Aircraft please note the radar operators window,that made me sweat! The chase plane was following the Buchon(off shore filming?) before it flew over my head. Any way it will all come out in the extras DVD! I was just made up to see these warbirds on me hols plus the Boultbee Spits flying on every sunny day some times 2 at a time on the I.O.W.